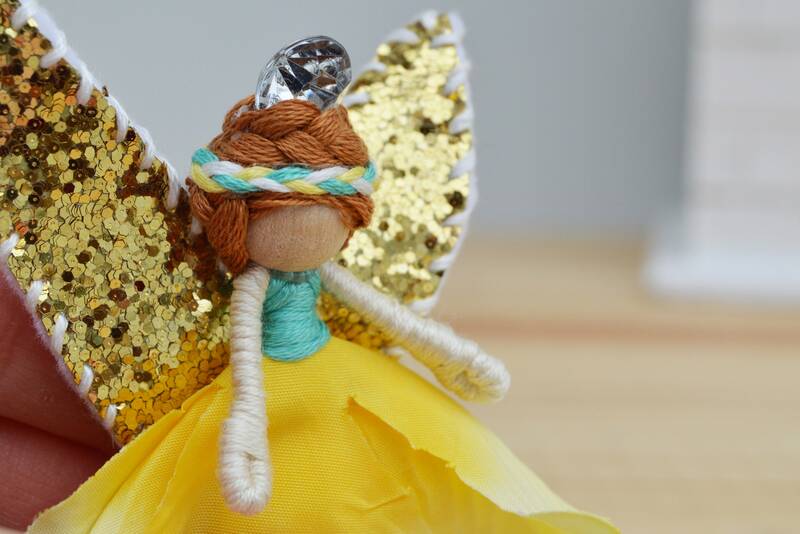 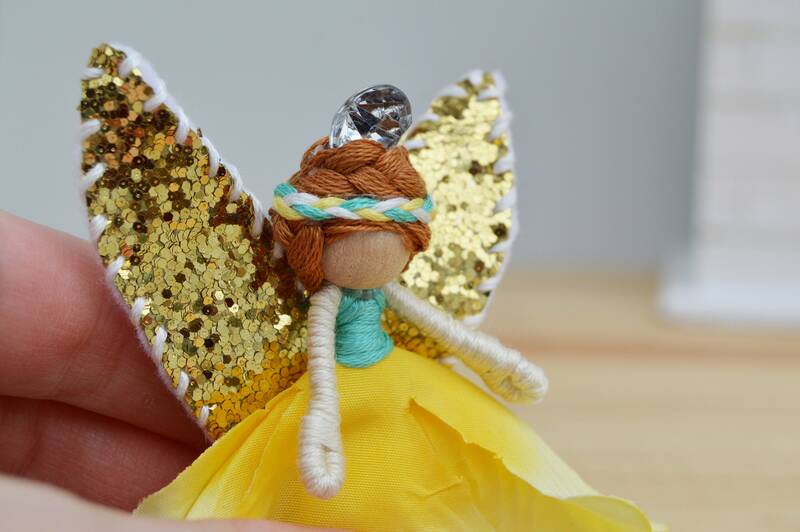 Miniature flower fairy doll with golden wings. 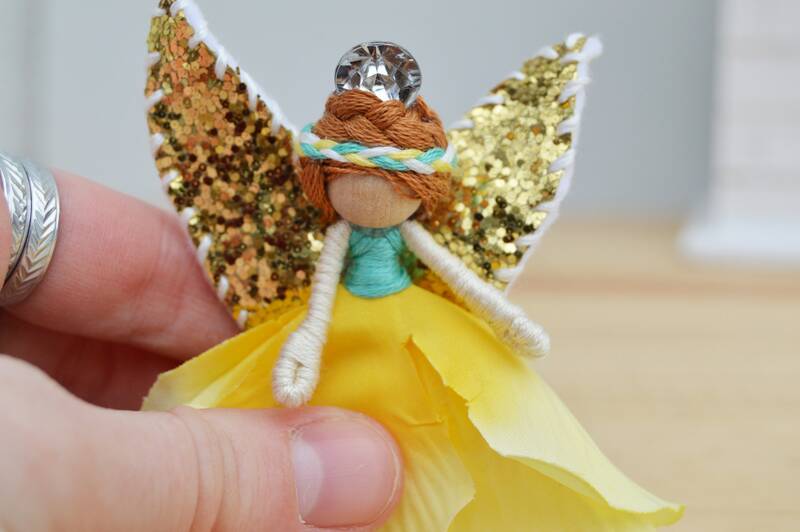 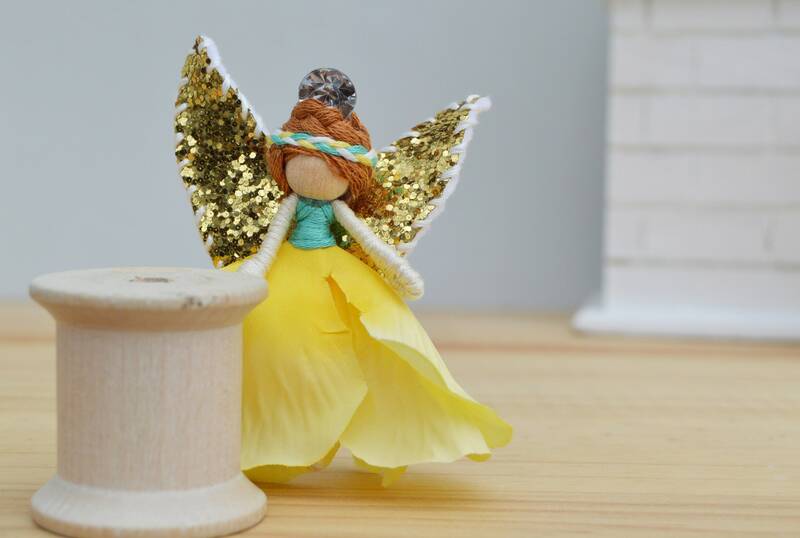 -Meet Sunshine, a one-of-a-kind miniature flower waldorf fairy doll ready for a fairytale adventure! 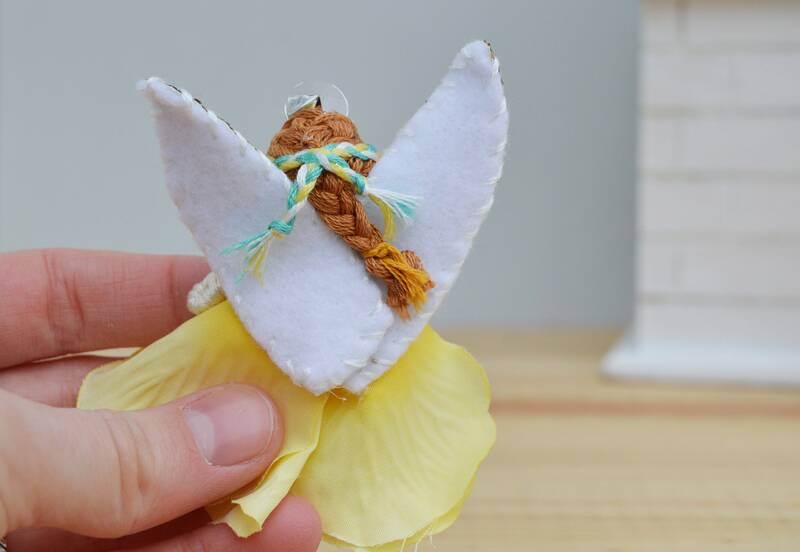 - Dressed in: teal, white, and yellow. 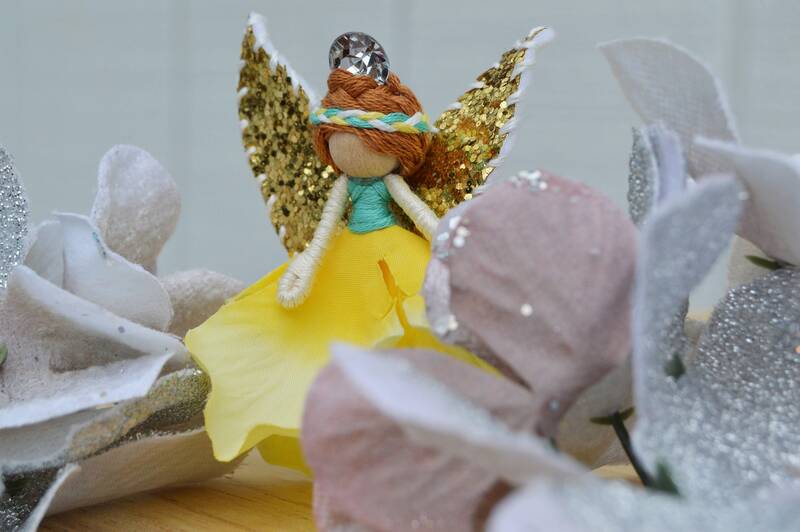 - Materials used: faux flowers, faux butterfly wings, and faux diamond stud. 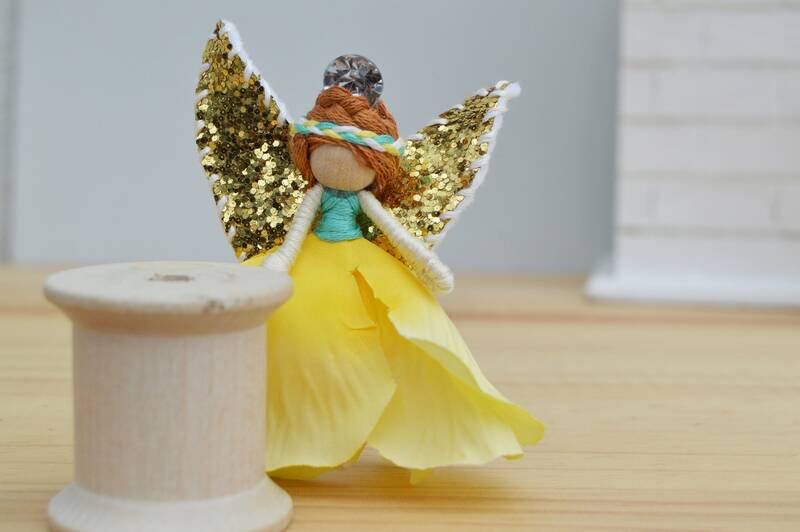 Whether for a girl's bedroom fairy decor, a fairy lover's a surprise gift, or imaginative creative play, these small fairies will need gentle and loving care.